Just Julie B's Stampin' Space: This Friday's Boutique Box Beauty! 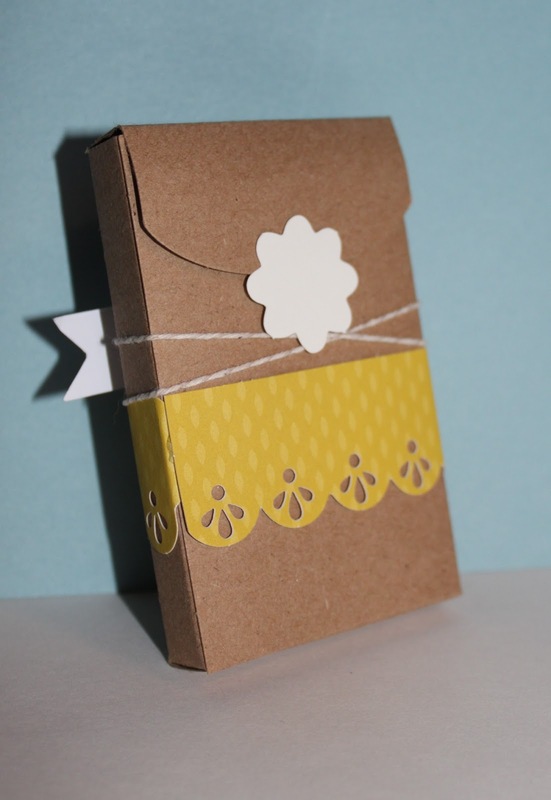 The little note card is included in the kit too - and they're the perfect size for a gift card. Of course, a good gift needs some kind of sweet treat - so the little peppermint patty is simply wrapped with a coordinating piece of Summer Starfruit Designer Patterned Paper. 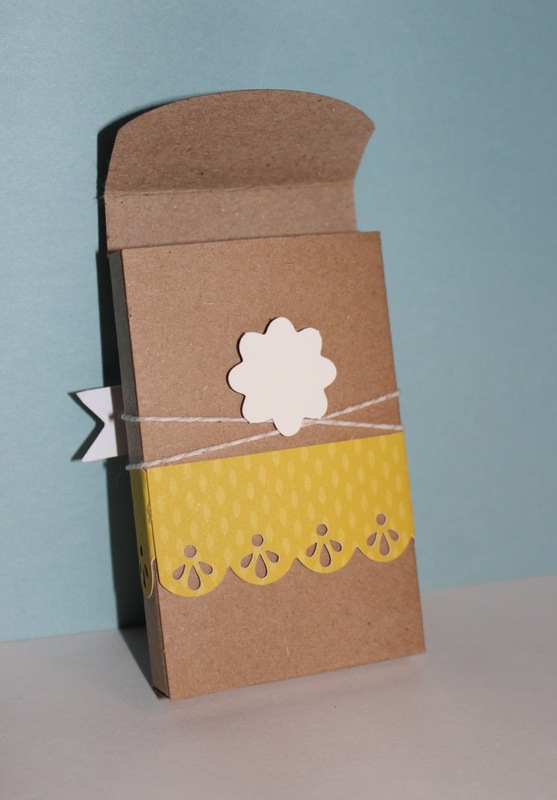 And both the little note card and the candy both fit into the box! You can just tuck the flap into the box to close it, but I did a little 'trick' on the back. I used a Dimensional on the bottom half of one of the (kit included) little scallops. I stuck it on the back so that the flap will just tuck under the top half. I thought that little finishing touch makes the back look cute too! I hope to see you at class this Friday! This is a great little set! Maybe it's because I love peppermint patties so much - haha. I might have to get this box kit and play around with it. Of course I'll be casing the patty cover!!! !